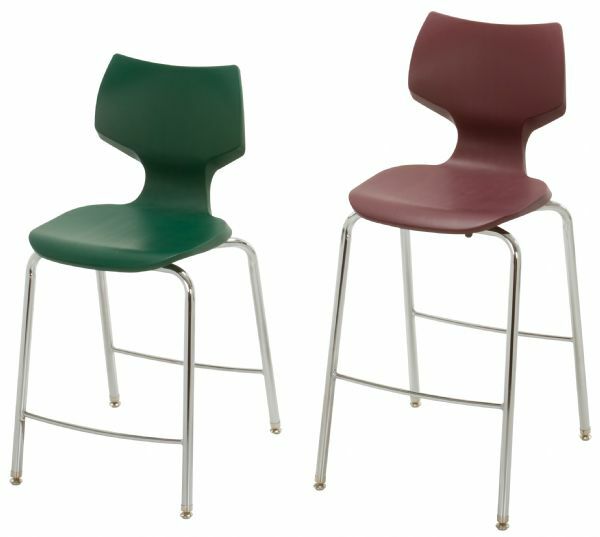 * Four-position allows student to sit comfortably facing front, side, or rear. * Flexing back provides support. * Flat seat pan with waterfall front edge.